The volcano desktop vaporizing device by Storz and Bickel, although a bit pricey (ie circa $500), is a wonderful and highly effective device for delivering cannabis vapor. The digital model allows temperature settings by degree to maximize your cannabis medicine, and vaporize the desired ingredients at the appropriate temperature. 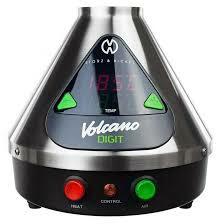 The volcano allows very efficient use of your material and is sturdy, reliable, and easy to operate. This should provide years and years of fool proof service. The smaller vapor bags are recommended as the large bags can tip over during filling. Many patients agree that this is the premier and best way to vape cannabis! We give this a 10!! We generally recommend vaporizing cannabis with a convection vaporizer, but sometimes smoking is a preferred method. Due to their high respective vapor points (ie. 428 degrees), certain cannabinoids - specifically CBC and THCV - do not generally vaporize and may require smoking to be liberated. In addition, the terpenes that are responsible for the taste and aroma of cannabis (as well as other medicinal benefits), are somewhat sensitive to higher combustion temperatures. You may want to preserve their effect if smoking (combusting, burning) your cannabis. Using a lighter, for example, to light your cannabis should gently barely ignite the contents and focus on a corner of the bowl to preserve unburnt flower still unaffected on the far side of the bowl. This technique allows for better vaporization and taste as terpines are not charred or burnt. 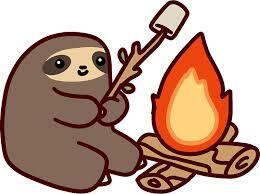 Gently heat up to combustion and then remove the flame and minimize actual smoke in the beginning. Once they are on fire, their effects are gone, so heat them up slowly and gently when smoking... you will experience a better taste as well as better effect as some terpines potentiate the therapeutic/psychoactive effect of the THC. Recently the Cannabis Hyperemesis Syndrome, or CHS, has been in the news and is alarming to some cannabis users. This syndrome has been known to occur in long term habitual cannabis users, and the symptoms include extreme vomiting, stomach pain, GI upset, and other undesired adverse symptoms. Those afflicted seek to get relief almost universally in a hot bath or shower to relieve their pain. This is a common factor in this disease, and can be diagnostic for the condition. The symptoms will gradually decline after cannabis ingestion is stopped, usually in a few days or weeks.... 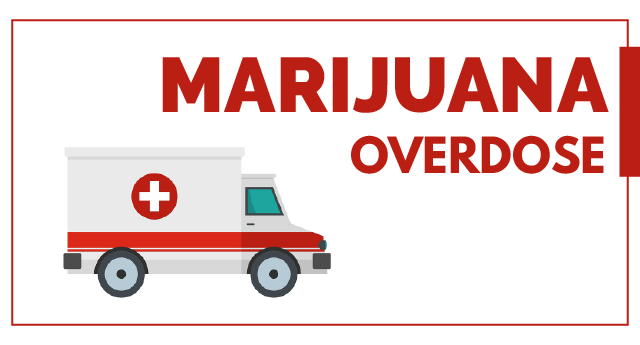 Emergency room physicians are seeing cases of CHS routinely and the majority of the victims admit to heavy or continual use of cannabis. It can be disheartening and objectional to the patient to terminate the use of cannabis, and can be upsetting for them. It is my belief, although not scientifically documented, that the cannabinoids themselves are not the cause of this syndrome. Cannabis has been around thousands of years, and it is widely known and accepted to prevent nausea and vomiting. It appears to be a modern day issue perhaps from the medical cannabis grows and the technology and techniques used in current indoor medicinal/hydroponic grows... So we must look at the chemicals involved in modern day cannabis cultivation, techniques, and guidelines. Latest research may point to a chemical agent - NEEM oil - also called azadirachtin used for control of spider mites as an insecticide, fungicide, and miticide. Although a certified organic compound and labeled safe for use, this chemical is suspicious for perhaps causing CHS. In effect it may be acting as a poison and builds up in your system when you use cannabis. Other chemicals may also be suspicious as well. 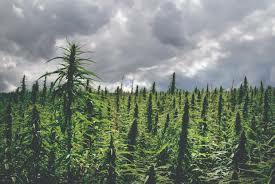 The landrace cannabis strains have been grown for thousands of years with no sign of this syndrome or extreme vomiting in past users. The emergence of this syndrome roughly mirrors the use of this chemical in cannabis grows, starting around 2004 (the first reported case). 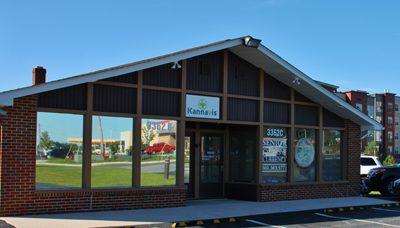 When visiting a dispensary, please ask the agent the days and times that have the lowest prices and best deals. Prices can fluctuate during the day and from day to day... Look for email specials, check weedmaps for specials, and if you see a great deal, lock it in before you visit or shop online. Deliveries are also FREE at some dispensaries (remember to tip the driver!).. Shop around on weedmaps app, and call the dispensary on the phone to ask about specials. Prices as a rule are declining as competition increases, and supply and demand level out. Always try to buy what may be offered as a " special" or "on sale." When vaping cannabis flowers, extracts or oils, on a device that allows exact temperature controls, it is advisable to keep vapor temperature under 390*C in order to avoid the vaporizing of harmful benzene and toluene chemicals - which may have adverse health impacts. In addition, at this temperature- 390* C- the cannabinoids CBC and THCV do not vaporize off until you reach 428*C. For this reason, the CBC and THCV are left behind in the ABV (Already Been Vaped) cannabis unless you reached a 428* C. Note that THCV has been shown to be an appetite suppressant, so perhasps the ABV put into capsules would aid in weight loss therapy. A standard vape temperature fairly universal is 370* C - but can range from 320* C - 389* C depending upon preference, and to slectively remove the desired cannabinoids and terpenes. 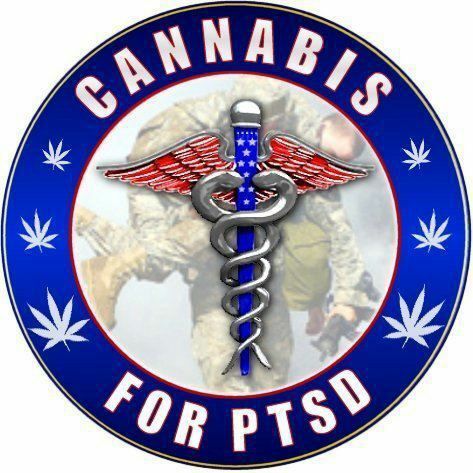 Many of our veterans are inhibited from using cannabis for PTSD, as it is not a recommended therapy by the Veterans Administration, and not a valid recognized treatment by the federal government. 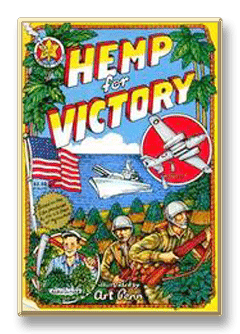 Yet many veterans report it's beneficial effects for anxiety, depression, insomnia, or PTSD. Studies also clearly demonstrate the beneficial effects of cannabis with few detrimental side effects if used properly. This is in comparison the the large number of harmful pharmaceutical drugs that are currently prescribed to our veterans, and the resulting negative and often devastating or fatal side effects. 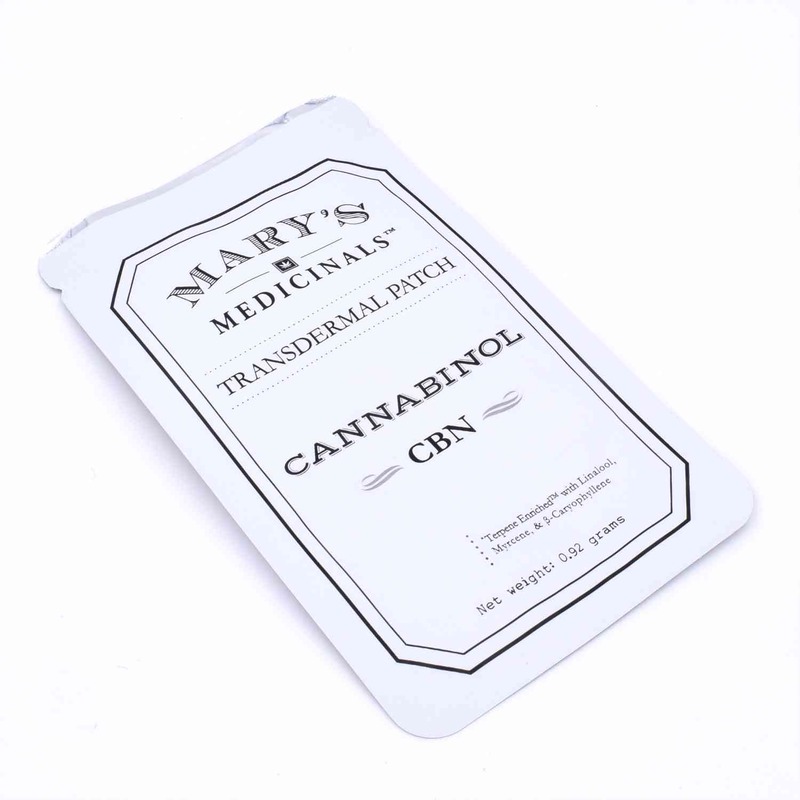 Mary's medicinal products feature several types of cannabinoid patches for transdermal delivery, and the patch is applied to your skin after opening. The CBN patch contains Cannabinol specifically as the active cannabinoid. CBN is one breakdown product of THC metabolism in the body, and is also present in aged or old cannabis in high amounts. It is a strong sedative and sleep inducing, and promotes calmness and has very little psychoactivity. To experiment with the patch as it may be used for sleep, one was applied to my left wrist at 10:30 pm. There was a slight initial effect about 45 minutes later for slight sedation and sleepiness, but this effect ended quickly. This may have been a placebo effect. No effect on sleep that night was any different from my normal good sleep pattern. It appeared to have little or no effect, and a melatonin, trytophan, valerian, or similar OTC sleep aids seem to work better. At $22 per patch this is not a good solution as a sleep aid, as other less expensive medicaments work better. However, it is important to perform one more trial of CBN for sleep to add validity to these findings as sometimes cannabis can work a little unusual on certain days or circumstances... stay tuned! However, this tincture is also high in THC in a 4:1 ratio to the CBD also present. Cannabinol, or CBN, remember is the breakdown product of THC, so the high THC level in the tincture metabolizes in a few hours into CBN thus increasing sleepiness. However, when first ingested sublingually the THC has quite a profound effect, which is ok if you are already asleep. But if you are not yet asleep there will be a period of a few hours or less, which you will be uplifted and energized by the THC and sleep may be difficult. Therefore it is advisable to use this tincture a few hours before sleep or somewhat paradoxically immediately before falling asleep. A strain of cannabis high in the cannabinoid THCV, or Tetrahydrocannabivarin, is beneficial for those who desire to achieve weight loss. THCV, unlike THC, is an appetite suppressant, so strains such as durban poisin will curb your appetitie and not increase your hunger or give you the munchies! 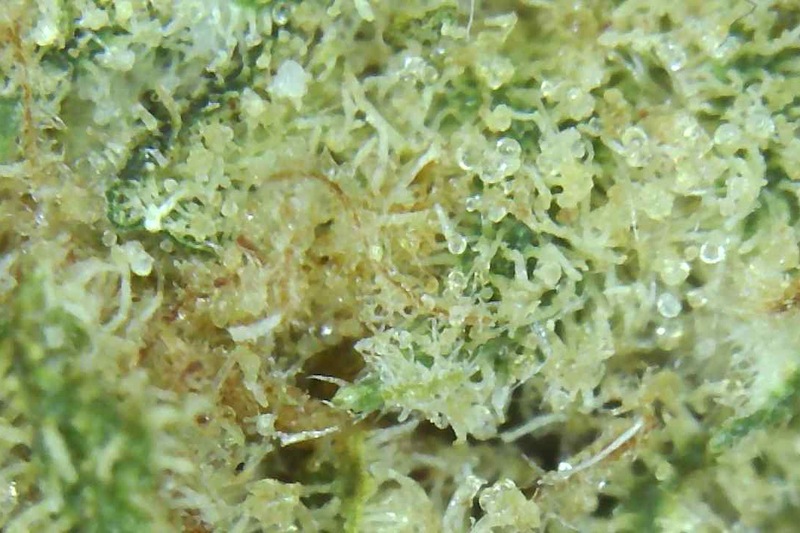 THCV may also be usefull in diabetes, stimulating bone growth, and for the relief of anxiety with PTSD. Many cannabinoids, terpenes, flavinoids, as well as other natural compounds in the cannabis plant are destroyed when the plant is concentrated, processed, heated, decarboxylated, or extracted. The actual cannabis plants, as they exist naturally, are loaded with many compounds that produce the "entourage effect" and the plants are useful medicinally because of the multitude of different ingredients. 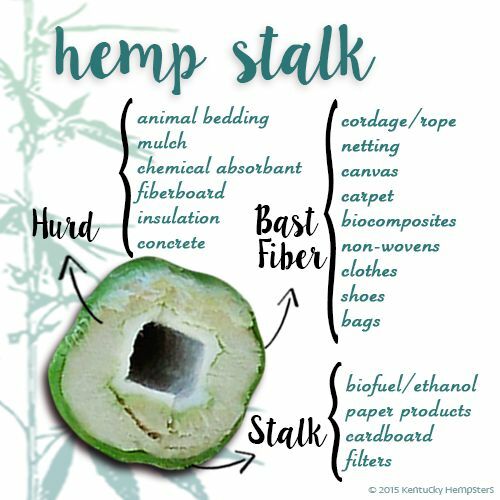 These ingredients suffer tremendous dgeradation and destruction when the plant is processed or concentrated. So this means that all the oils, concentrates, and extracts, whether CO2, butane, or ethanol based are lacking in many medicinal compound lost in the process of concentration. The ideal medicinal way to use the cannabis plant is thru convection vaporization of the ground cannabis flowers or buds. Some concentrates are ok. These would include rosin (heat & pressure), kief (trichome dust), or bubble hash (ice water). SO HERE'S THE DEAL...When you get your vape pens, oils, concentrates, etc... and ignore the flowers it is a mistake... however convenient the vape oil pens are, they are missing most of the medicinal ingredients available. This is why many people do not see beneficial results. After processing, terpenes are sometimes totally destroyed and replaced with artificial ones!! Cannabinoids are left out as well , in addition to probably hundreds of other ingredients. Dispensaries have a much higher profit margin on the extracts and concentrates and the agents are told to promote them. Purified products in many cases, ie CBD 100% isolate is not ideal medicinally, nor is 100% THC beneficial without the terpenes and other cannabinoids. The least amount of processing and grow chemicals is always better and more organic, and concentrating the plant destroys much of the beneficial ingredients. So when you visit the dispensary next get yourself a convection vaporizer and flowers, and of course examine the cannabinoid and terpene content of the flowers. It is becoming somewhat evident that at even the grow stage, some terpenes are not expressed and cannabinoids are being genetically engineered out of the plants!! Natural cannabis, or landrace strains, occur as native plants grown in select geographic areas around the globe. These plants are the highest in most terpenes, cannabinoids, and flavinoids and naturally are the best!! THC and CBD have an interesting and complex behavior when used concurrently in the cannabis plant, whether vaped or smoked, or in edibles or tinctures... These two main cannabinoids both potentiate and synergize with each other, while at the same time acting somewhat contradictory. Clearly, these two cannabinoids should be used together for maximum benefit but the ration of THC to CBD is highly variable in most products. 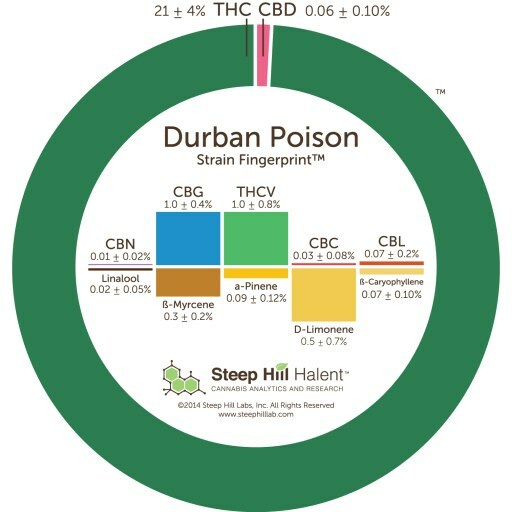 Some products are all THC with no CBD and others are virutally all CBD with no THC... and there are all the ranges in between with 50% of each - THC:CBD ratio of 1:1 - being very popular. THC:CBD ratio thus is a critical factor in selecting cannabis for proper medicinal use. Ratios range from 30:1 to 1:30. CBD tends to counteract some of the psychoactivity of the THC, but it also potentiates other beneficial effects as well as prolong the effect of THC. THC generally acts as a stimulant initially at least, while CBD acts as a sedative. 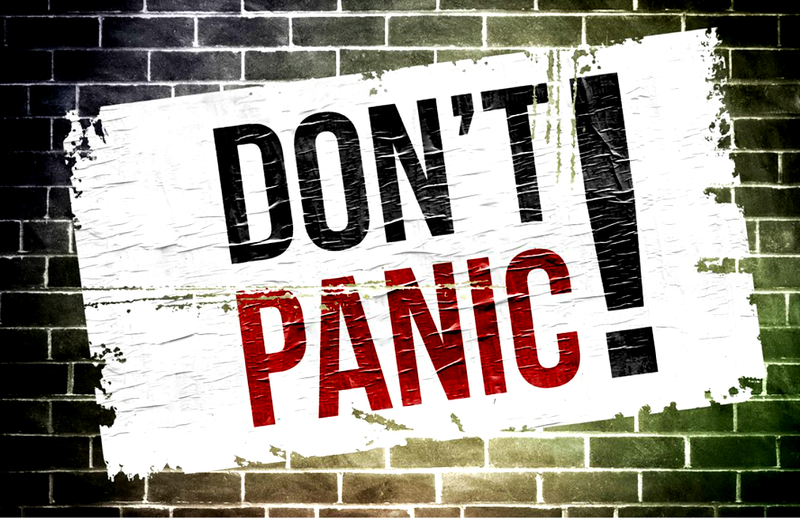 THC can promote uneasiness and create needless anxiety, and CBD can relax and decrease anxiety. They work best together but the ratio of each determines the overall effect. Clearly demonstarting the Ying / Yang effect is the fact that a dose of too much THC can be readily reversed with ingestion of CBD capsules, tinctures, or pills. Too much or unwelcomed psychoactivity can thus be controlled via CBD. Likewise, the sedative effect of CBD can be somewhat mitigated by using THC as a sort of stimulant, and to increase activity and thinking. The Veteran Employment and Transition Success Program and Fund was established by the Maryland Department of Veterans Affairs in 2018. The purpose of the program is to provide grants to assist transitioning veterans in obtaining a State certification, license, or registration for specified health organizations. 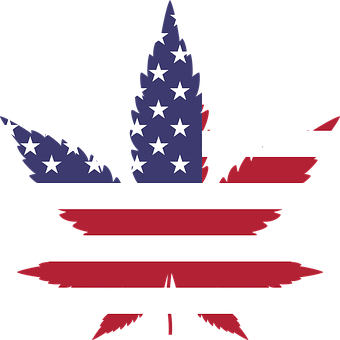 Also a new bill was passed that helps establish a compassionate use fund to provide FREE or discounted medical cannabis to individuals enrolled in Medicaid or in the Veterans Administration Health Care system. What do you do if you happen to overdose on THC?? SO....if you find that this happens to you, and you realize that you did a bit too much, do not panic!! You just need to have a rescue kit available :) There are lots of strategies to employ - deep breathing, drink fluids, walk around a bit, talk to your partner, try to stay calm realizing this will pass, putting peppercorns under your tongue.... However, there is a really fool proof strategy realatively simple to employ. At the first sign of an overdose, collect yourself and see if you think you can handle it. If not, and you feel anxious, uneasy, disconnected, nervous, etc...then take action! Immediately take 15-30 mg.'s of CBD capsules with abundant water. This would be for example one or two capsules. A CBD tincture would also be effective but capsules are easier to keep and have on hand in an emergency kit. The capsules may have less than 0.3% THC (this is legal amount allowed) Try to relax for 20 minutes until the CBD takes effect. When it starts to work - and usually 15-30 minutes may be required - a sense of relaxing welcome calm falls over your mind and body and you quickly feel relatively normal again, and perhaps even feel really good, as you have ingested ample quantities of both compounds (THC and CBD)and their effects are balance to produce a sense of well being..